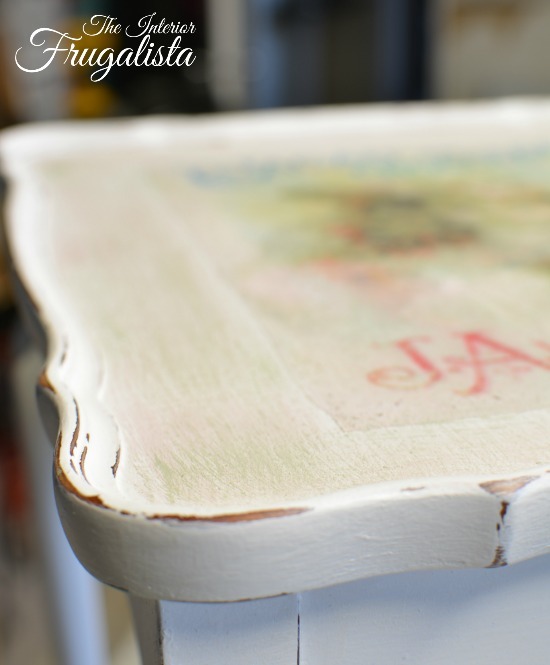 Today I'm sharing a tutorial on an image transfer technique using transfer medium or gel that can turn your favorite photographs into inexpensive wall art or easily apply graphics onto painted furniture. Recently I shared a tutorial on an Image Transfer Technique Using Graphite Paper but if hand painting over transferred graphics is not your thing, then you'll love this easy image transfer technique. There are so many possibilities for using this transfer method. 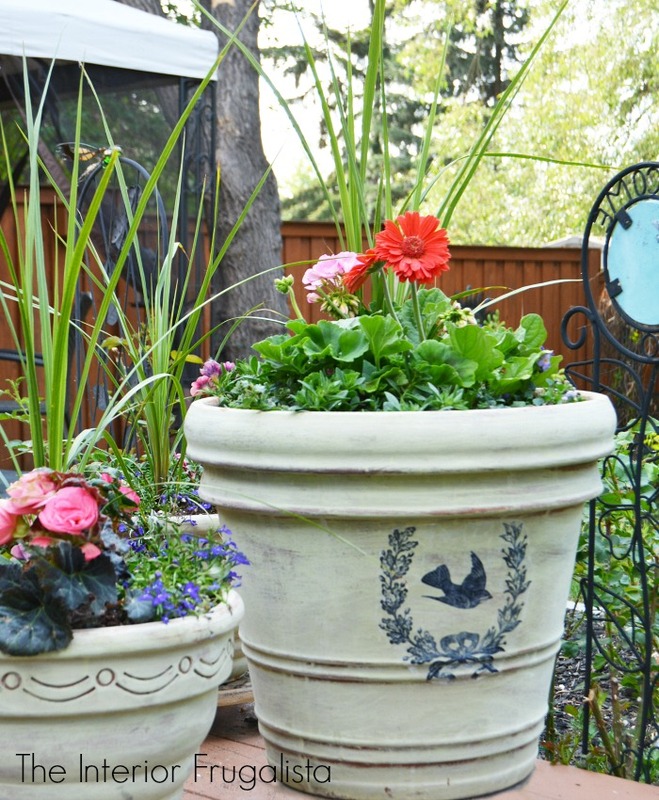 I used it on whitewashed terracotta plant pots to give them a French Country patina. You could transfer graphics onto fence boards or pieces of old salvaged wood to make signs without having to pick up a paintbrush. Or download a favorite photo you'd like to turn into wall art. Print a mirror image of the graphic or photo onto bond paper. Even subtle text like tattoos or clothing with writing will appear backward otherwise. When using an inkjet printer, you must let the ink dry for several hours to avoid the ink smearing. No need to wait when using a laser printer. If applying a small graphic, cut the excess paper around the graphic. Ignore this step if printing a full-size photo. 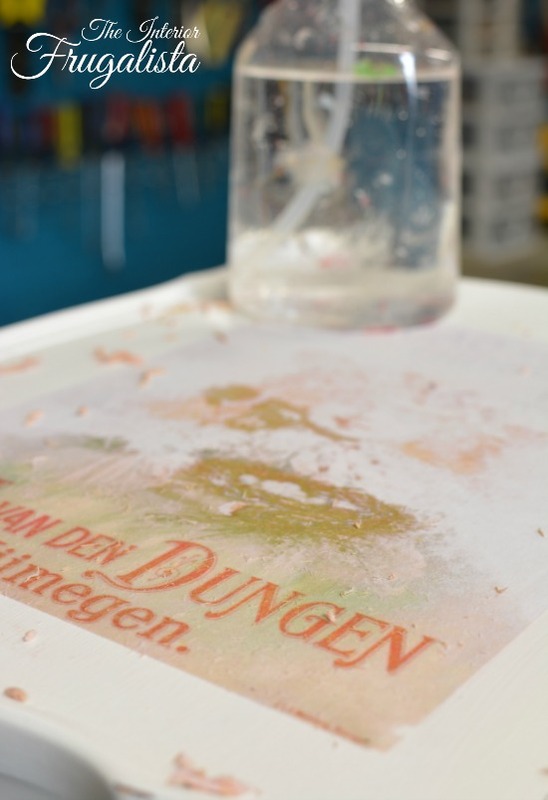 Using a foam brush, apply an even coat of image transfer medium on the good side of the image. It's important that you generously cover the entire surface of the image. Place image side down on to the surface, being careful NOT to move the image or it will smudge. With a brayer or old credit card, gently rub over the graphic to remove any air bubbles and ensure a tight bond with the surface. Allow the paper to completely dry (approximately three hours) before moving on to the next step. Fill a spray bottle with water and working in sections, spray the image (do not saturate) and gently rub off the first layer ONLY of paper with the ball of your finger or a damp cloth. Allow the paper to dry and repeat this process to remove the next layer of paper. Repeat again until all the layers have been removed and the graphic is visible. Note the image will look somewhat cloudy after all the layers are removed but don't be alarmed. The next step will remove that murkiness. 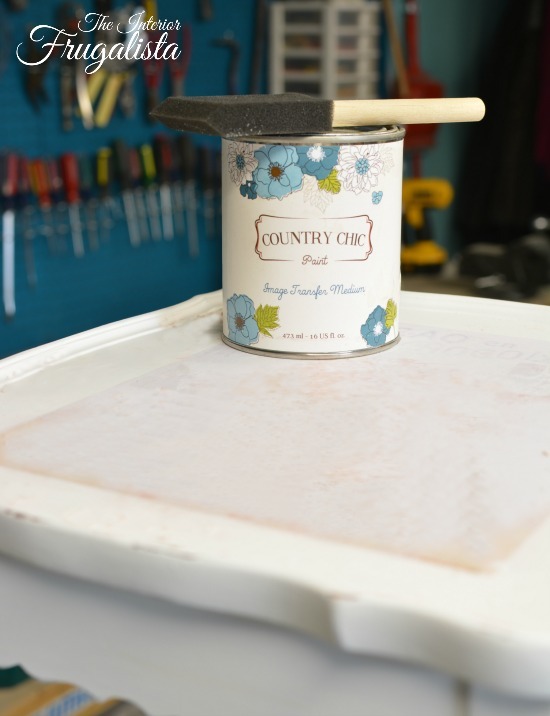 To remove the cloudy residue and protect the graphic, apply two coats of either matte Mod Podge for wall art or a clear matte polyacrylic for furniture. 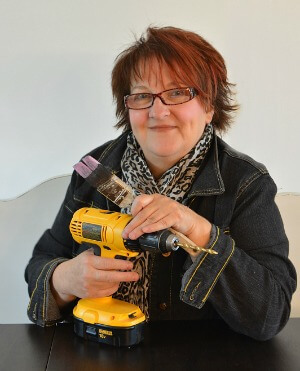 My preference is Gator Hide by Dixie Belle Paint Company (link to product below). Let dry between coats. For a time-worn look, apply dark wax over the entire surface, including the graphic, with a lint free rag and remove the excess. You could also carefully distress the edge of the graphic using fine grit sandpaper. Another option is to use image editing software like PicMonkey to flip the image and save before printing. Tip 1: Always print a mirror image of graphic/photo. Tip 2: For smaller images cut away excess paper around the graphic. It's time-consuming removing layers of paper so the less you have to remove, the quicker it will be. Tip 3: Ensure transfer medium completely covers the image in uniform thickness - no need to apply a thick layer of medium. Tip 4: Be cautious of not moving the image once it's made contact with the surface to avoid smearing. Tip 5: Apply light pressure on your finger or damp cloth when removing layers of paper or you risk removing the image. 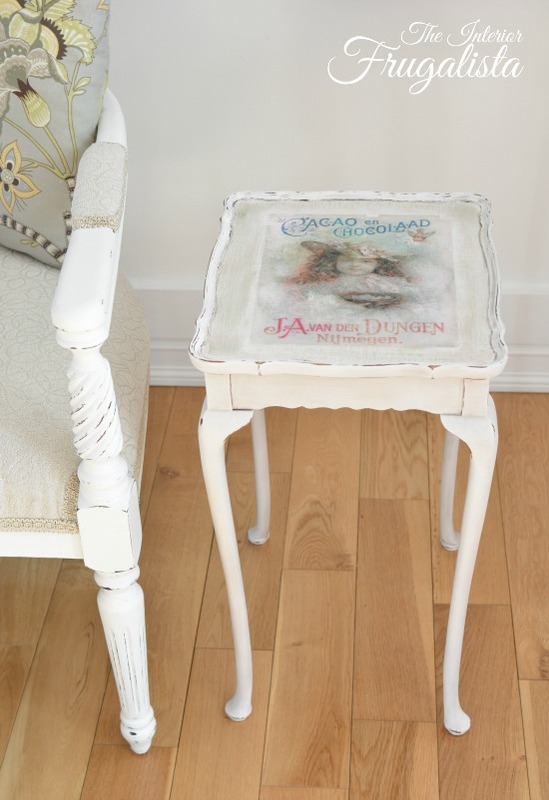 This is an example of how to transfer a colored graphic onto a piece of furniture using this image transfer technique. 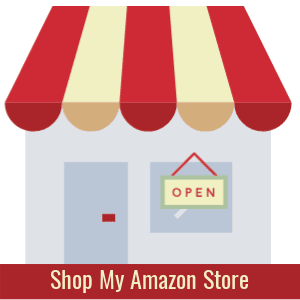 Press the links under each photo to visit the posts. 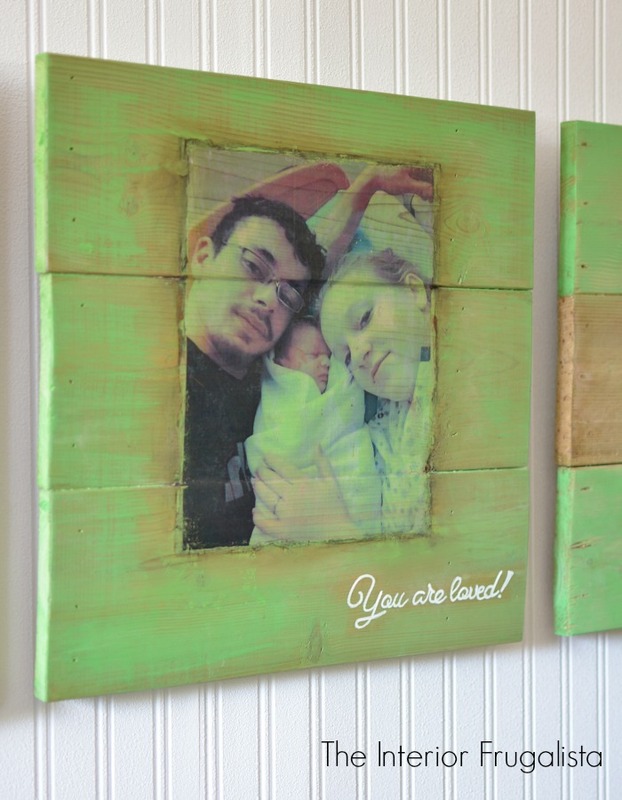 Here is an example of how to turn favorite photographs into easy and inexpensive wall art. 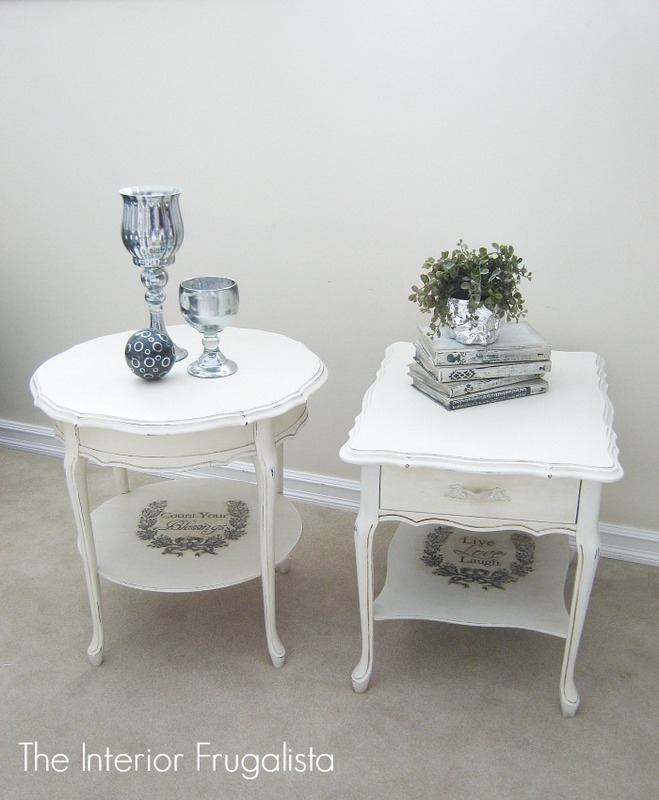 Here are some other furniture and home decor projects where I used the image transfer medium technique. 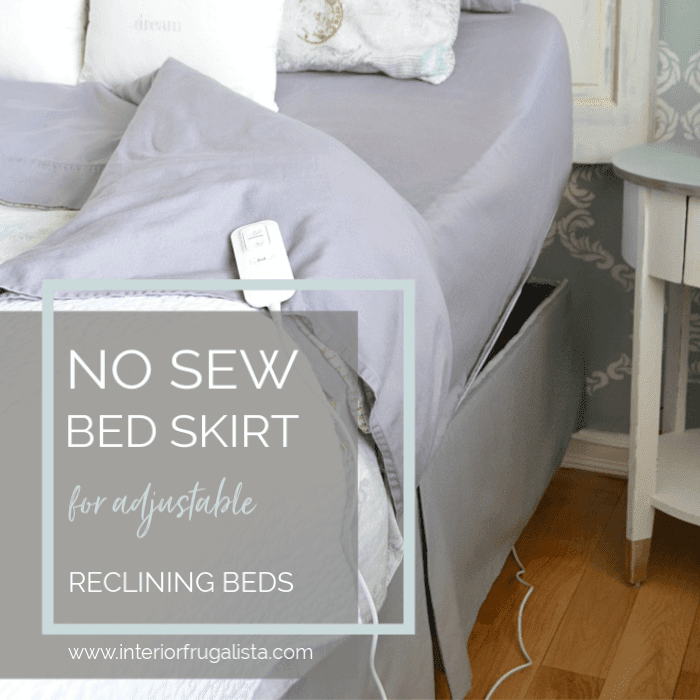 I hope you found this tutorial helpful and that it inspired you to turn your favorite photos into easy and inexpensive artwork or add that wow factor onto painted furniture. 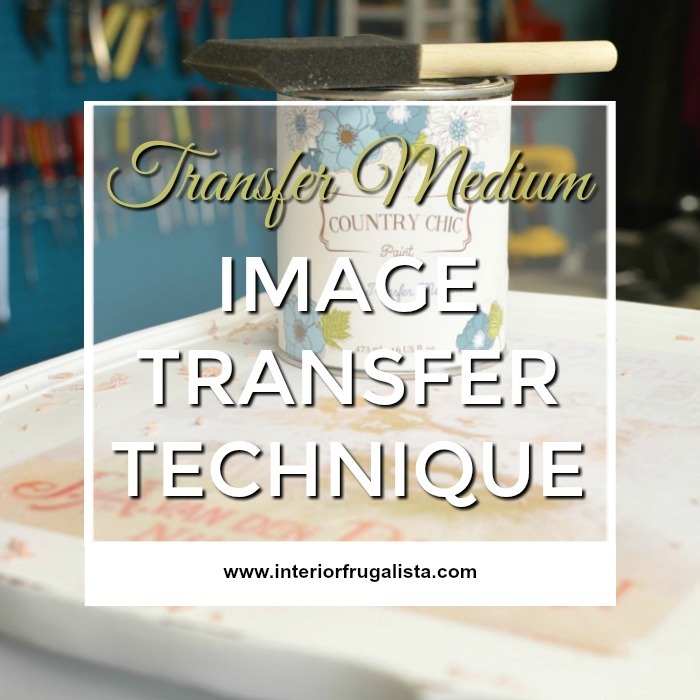 Please share the image transfer technique using transfer medium tutorial with a friend and/or save it on Pinterest for easy reference. Do you have any projects you'd like to use this image transfer technique on? 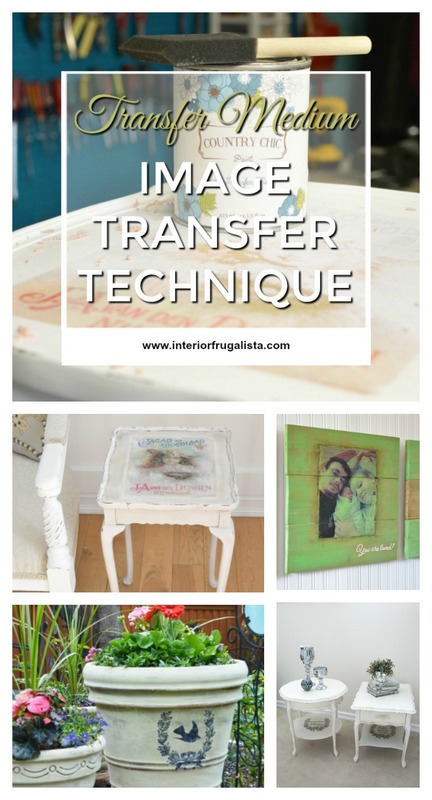 Do you have any questions about image transfer medium? I'd love to hear about them either in the comment section below or drop me an email by pressing the "Contact Me" button at the top of the blog.